America's Jack Nicklaus conceded a missable three-foot (0.9 m) putt to Britain's Tony Jacklin at the 18th hole. The 18th Ryder Cup Matches were held 18–20 September 1969 at the Royal Birkdale Golf Club in Southport, England. The matches were marred by considerable acrimony and unsportsmanlike behavior by players on both sides. Britain's captain Eric Brown had instructed his players not to search for the opposition's ball if it ended up in the rough. American Ken Still, in the first-day foursomes, had deliberately and regularly stood too close to Briton Maurice Bembridge as he was putting. This led to Nicklaus conceding Jacklin's final putt with the knowledge that the tournament would end in a draw. 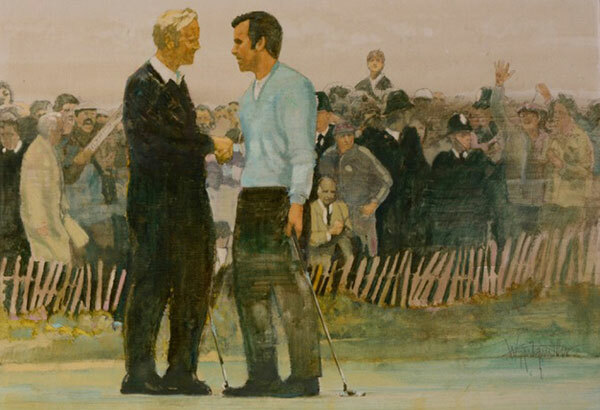 Playing in his first Ryder Cup at age 29, Nicklaus' gesture became known as "the concession" and marked the beginning of a lasting friendship between the two that has spanned more than 40 years.